The Real Tree Masters Inc. can handle all your tree service requirements. 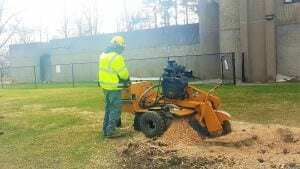 We are tree and stump removal service company providing various services such as tree planting, pruning/trimming, tree removal, pre-construction site cleaning and residential and commercial services. We serve all these services in Toronto, Brampton, Vaughan, Halton Hills, Milton, Orangeville, Mississauga, Richmond Hill, Oakville and all corners of the GTA. After cutting a tree, the work is not completely done. 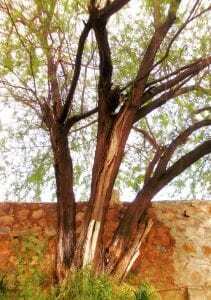 There are still roots that can create problems. That’s why it is essential to get them removed by a professional. If you are in need of stump removal/grinding service, call our expert arborists. We have a team of trained professionals with the equipment needed to remove tree stumps from your property. Whether you are a business owner or a homeowner, it is crucial to pay attention to the appearance and safety of your property. Trees damaged by pests or storms can be harmful to you and your property. Due to this reason they need to be removed. 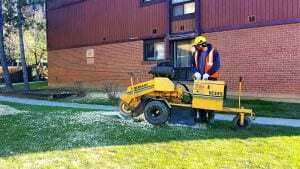 Tree roots grinding is a service that many people require to remove any tree stump that has become a nuisance. When you are cutting a tree, a stump is left behind. Sometimes these stumps are very hard to remove because they have extensive root systems, making them impossible to remove. The only solution is to use high quality equipment to remove it. 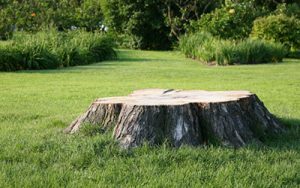 To Get A Free Tree Stump Removal / Tree Stump Grinding Quote, Contact Us Now! We understand there may be a situation that make stump removal very difficult for you, especially when there are some obstacles and access limitations. When you call us for stump grinding service, we will bring out all required equipment. Once we have done the job, we can either leave the wood chips for mulch or remove them for you.